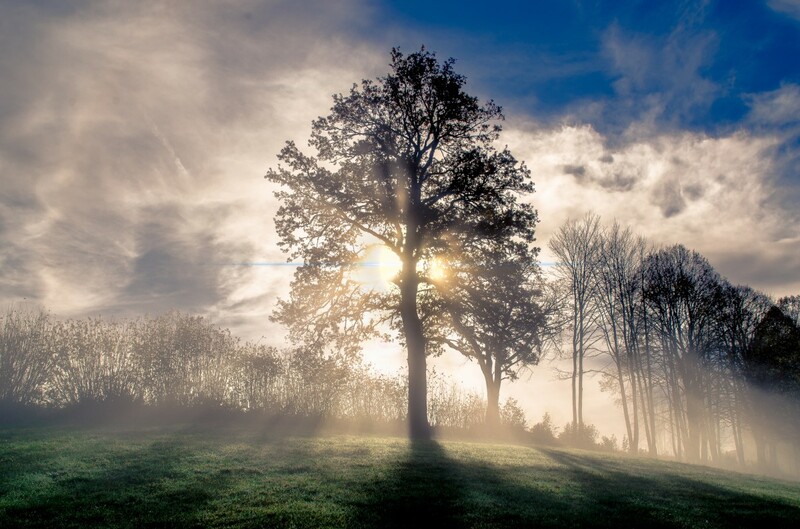 Decision Tree is the simple but powerful classification algorithm of machine learning where a tree or graph-like structure is constructed to display algorithms and reach possible consequences of a problem statement. This is a predictive modelling tool that is constructed by an algorithmic approach in a method such that the data set is split based on various conditions. Besides other classification methods of supervised learning, this method is widely used for practical approaches and can be used in both classification and regression problems. In general, this algorithm is referred to as Classification and Regression Trees (CART). This article is meant for the beginners in machine learning who wants to deep dive from the scratch into this space. The supervised learning algorithm is always drawn upside down i.e. root is always at the top. The samples are split into two or more homogenous sets depending upon the differentiator in input variables. For instance, let’s say we have a dataset of a population that includes two variables i.e. diabetic patients and non-diabetics. 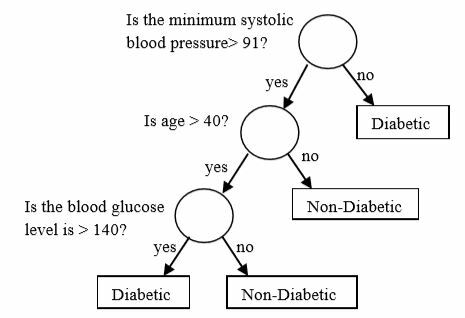 Now, in order to create a model to predict who is diabetic or non-diabetic, the tree will be traversed from root to leaf and it will be done till the criteria are fulfilled. The node which is divided into sub-nodes is called parent node and the sub-nodes are called as child-nodes. The model used here has three attributes and two classes. The attributes referred here are minimum systolic blood pressure, age and blood glucose level and the classes are diabetic and non-diabetic. Pruning: This process involves the removing of branches that contains features of low importance for the model. It can be done either at the root or the leaves, but the simplest process will be done at the leaves. Reverse Binary Splitting: All the features are taken into consideration in this process, then different split points are tried and tested. A cost function is used to split in the model that searches for the most homogenous branches having similar responses. The value of Entropy will be zero if all the members resemble the same group and the value of Entropy will be one when fifty percent of the members belong to one particular class and the other fifty percent belongs to another class. Here, x denotes the feasible values for an attribute, H(S) is the Entropy of all the samples and P(x) is denoted as the possibility of the event x. Step 2: If all the instances are found to be positive; Return leaf node as “positive‟. Step 3: Else if all the instances are negative; Return leaf node as “negative‟. Step 4: Remove the attribute which yields the highest Information Gain from the group of attributes. Step 5: Repeat the process until the last attribute or the decision tree achieves all the leaf nodes. Business Management: The model of this algorithm is broadly applied for customer alliance administration and also the recognition of deception. Customer Relationship Management: Arrange Customer’s alliance by observing the use of online amenity. Fraudulent Statement Detection: Recognition of Fraudulent Financial Statements (FFS) because of the issues creating for tax income of the government. Engineering: For vitality utilisation and detect observation, Decision Tree is used. Energy Consumption: Supports the companies with the issues of consuming of the energy. Fault Diagnosis: Broadly utilised application in the field of engineering is the recognition of faults. Healthcare Management: With its advancement in everyday life, it is used in the field of heath-caring systems. Decision trees are not so suitable for task evaluating for prediction of the practicality.